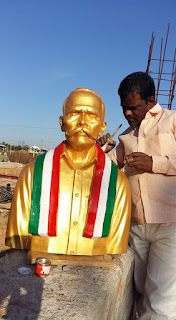 Dr.Y S Rajeshekhar Reddy in big junction of famous village of Ananthapur District. 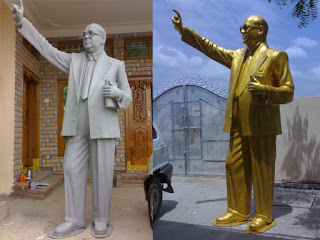 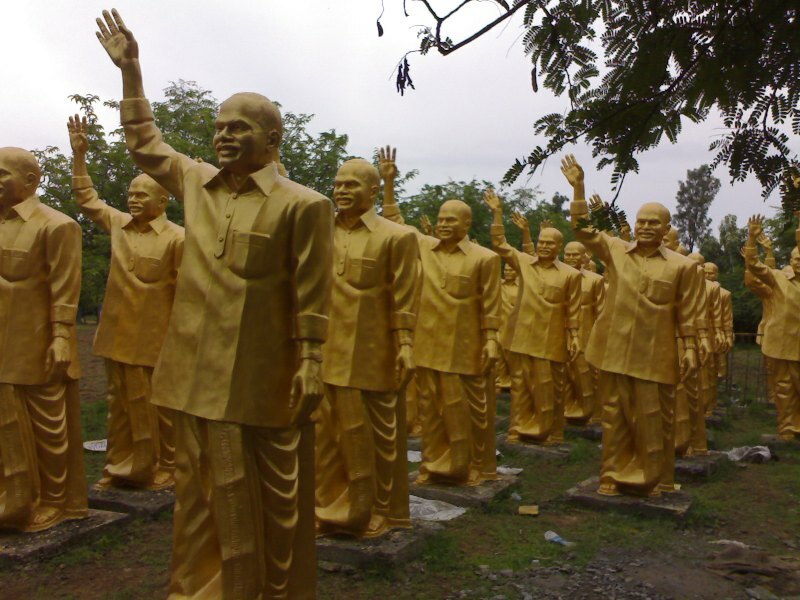 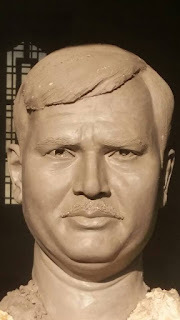 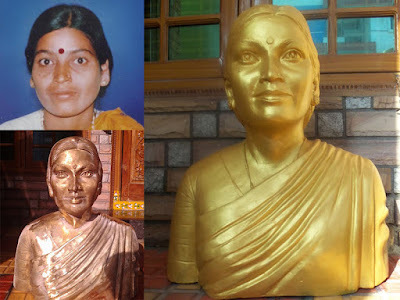 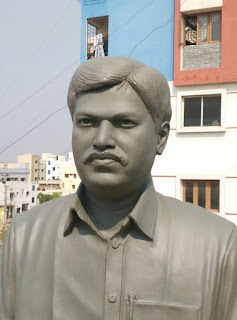 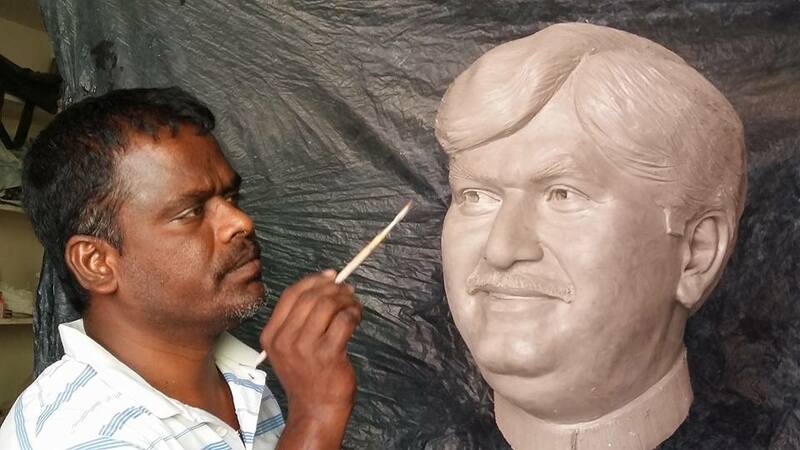 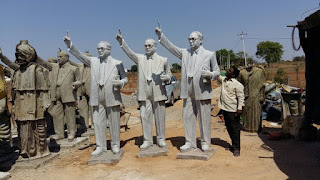 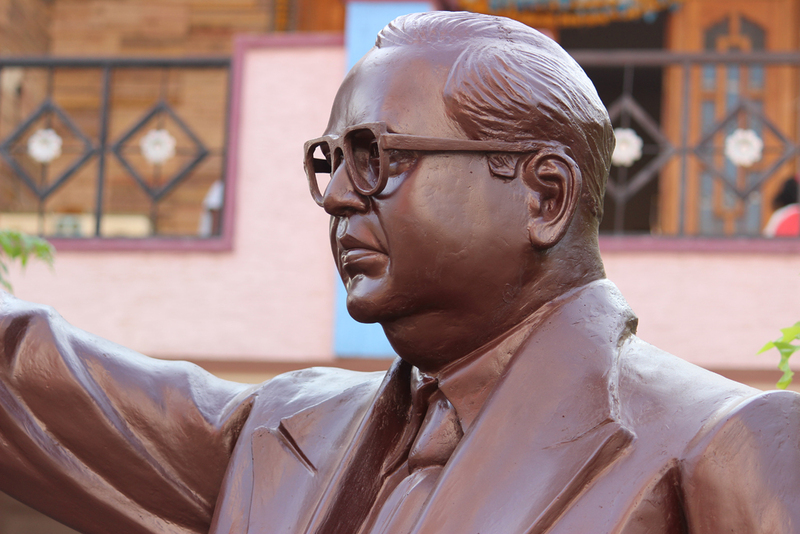 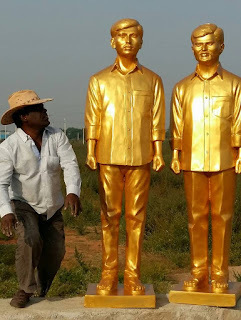 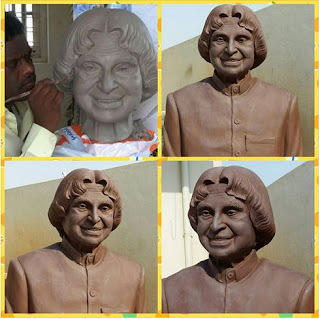 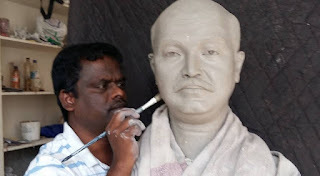 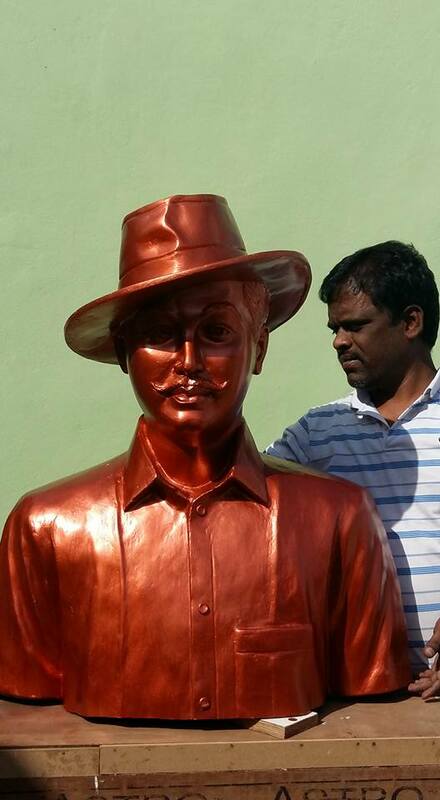 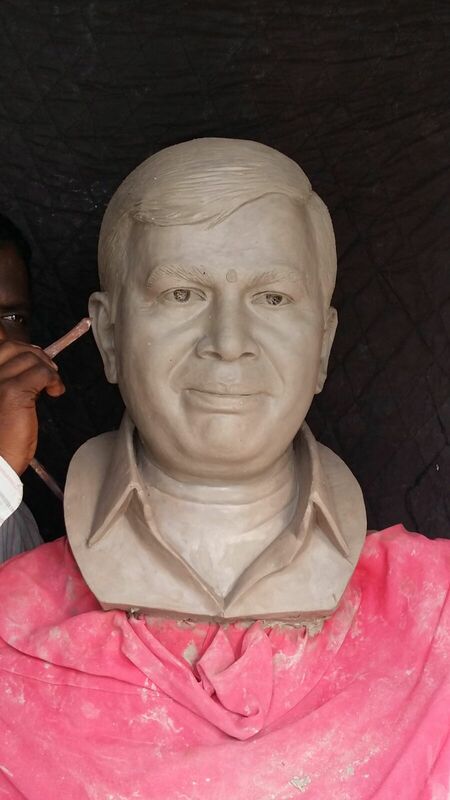 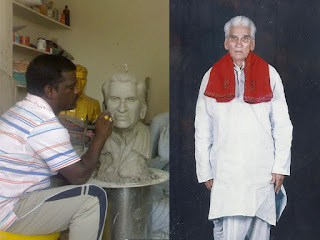 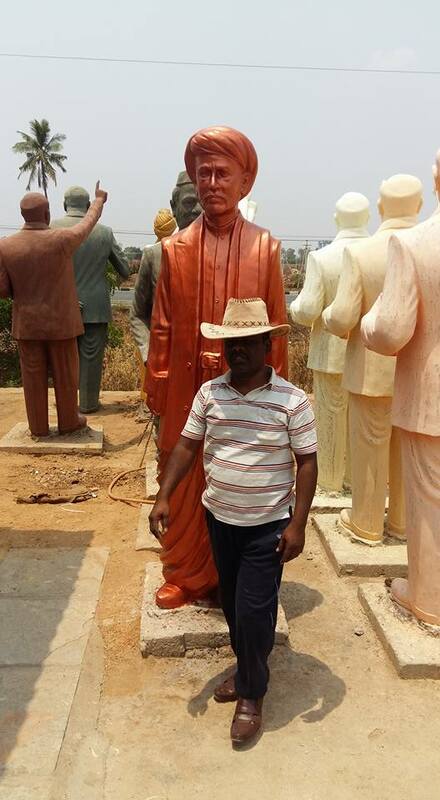 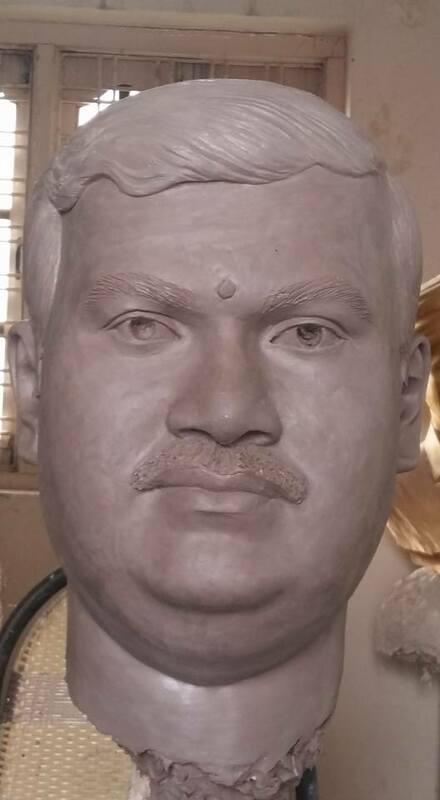 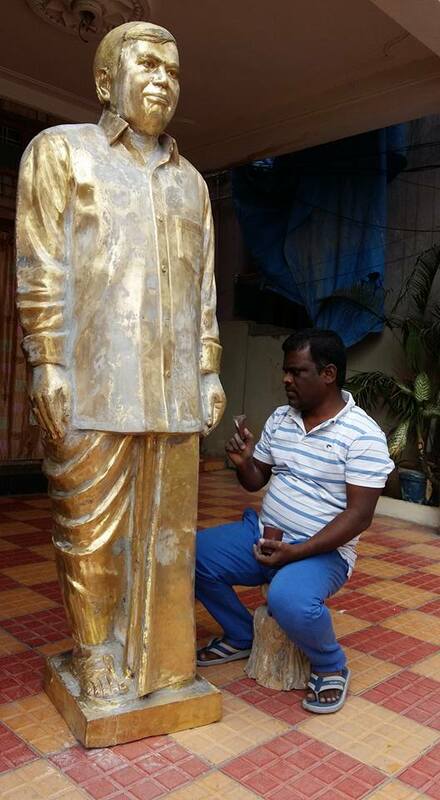 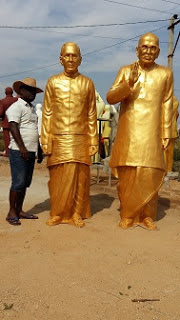 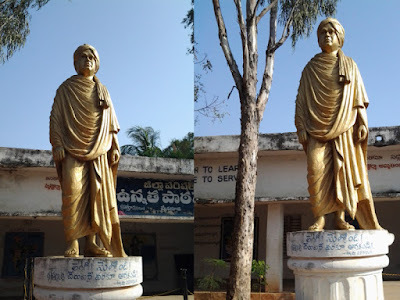 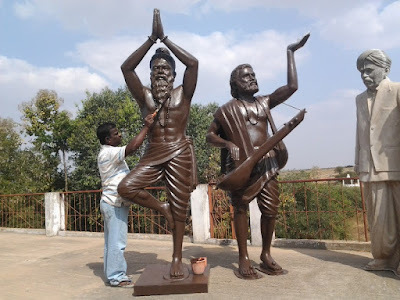 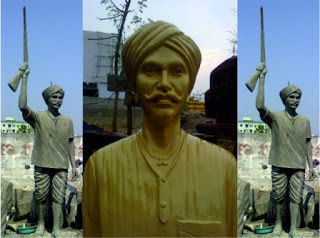 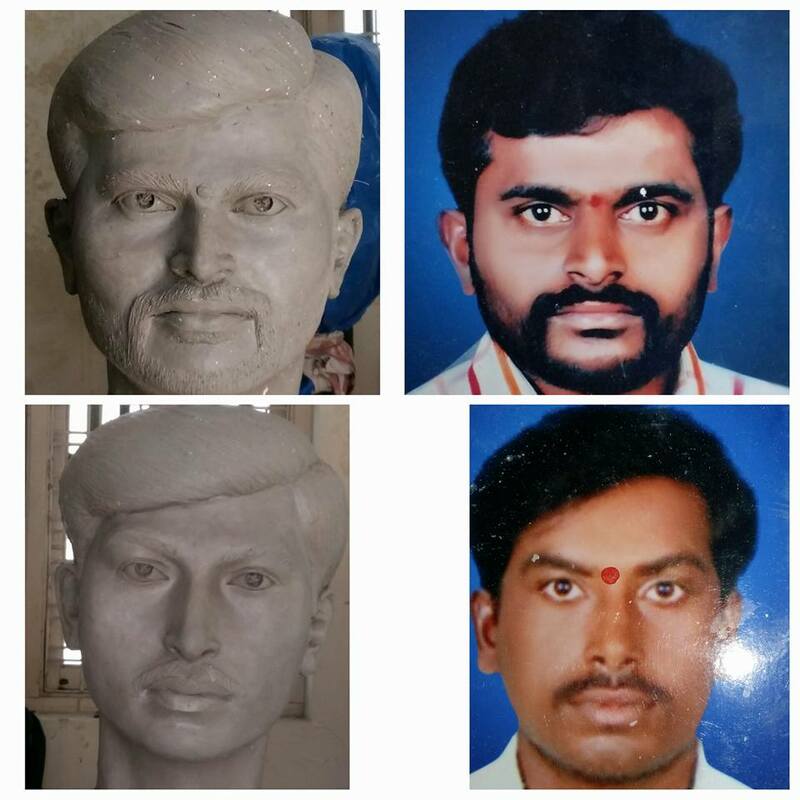 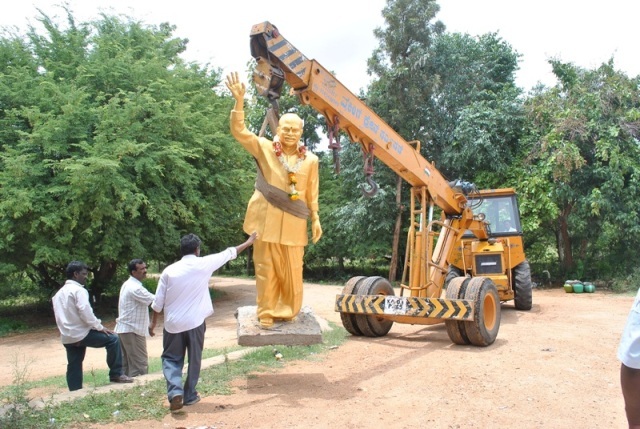 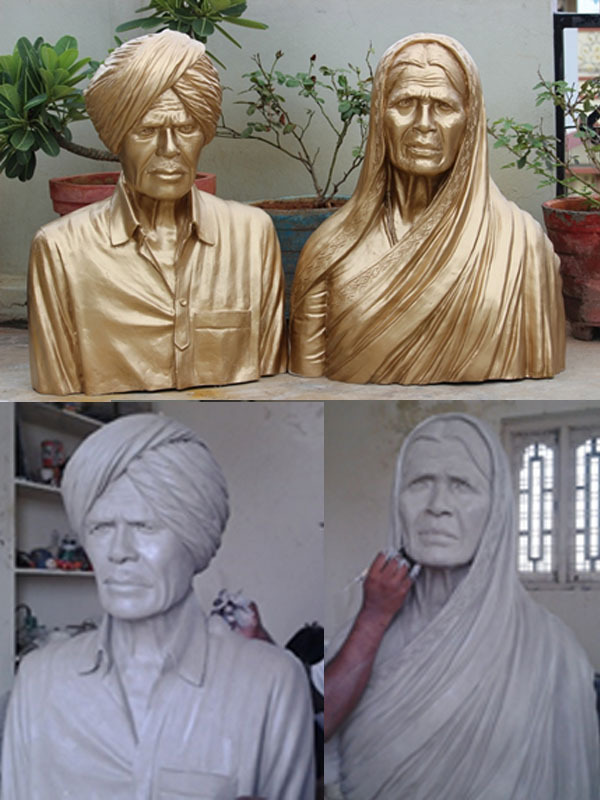 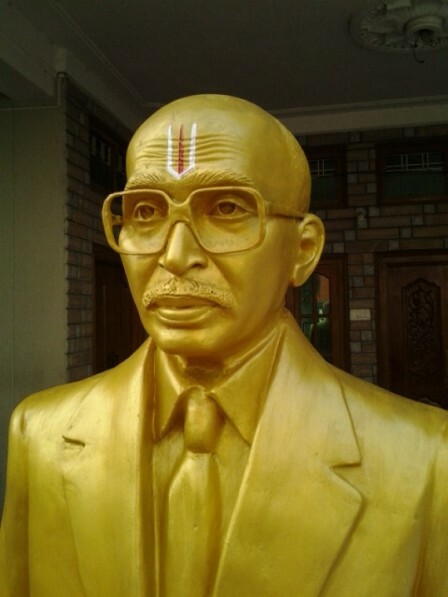 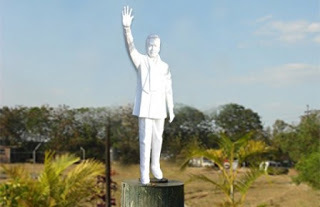 Dr.y.s.rajeshekhar reddy statues of which are placed at anathapur district. 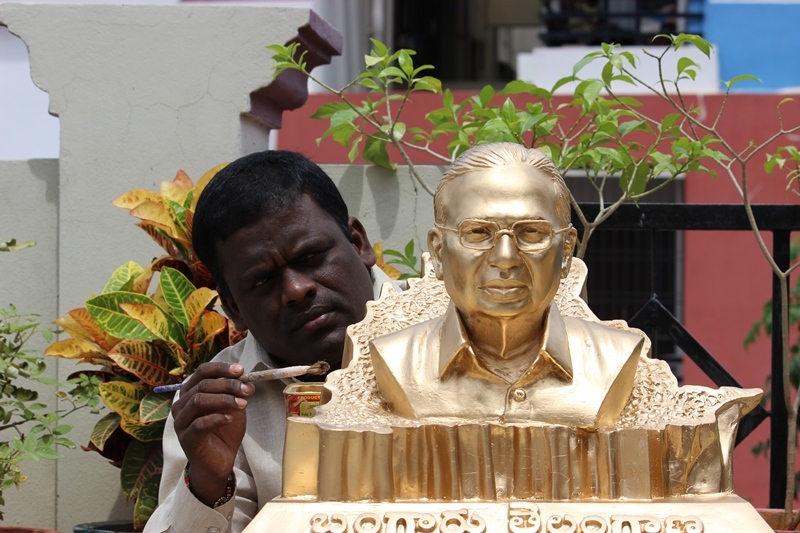 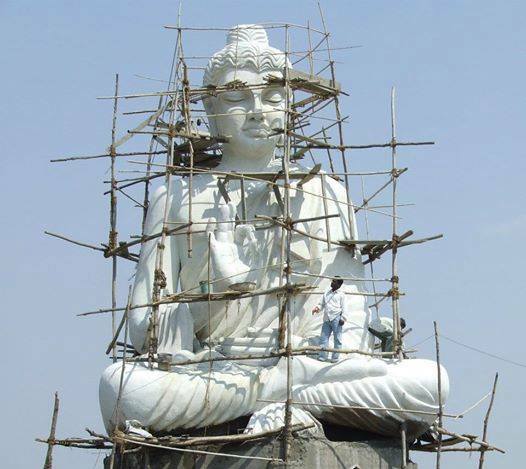 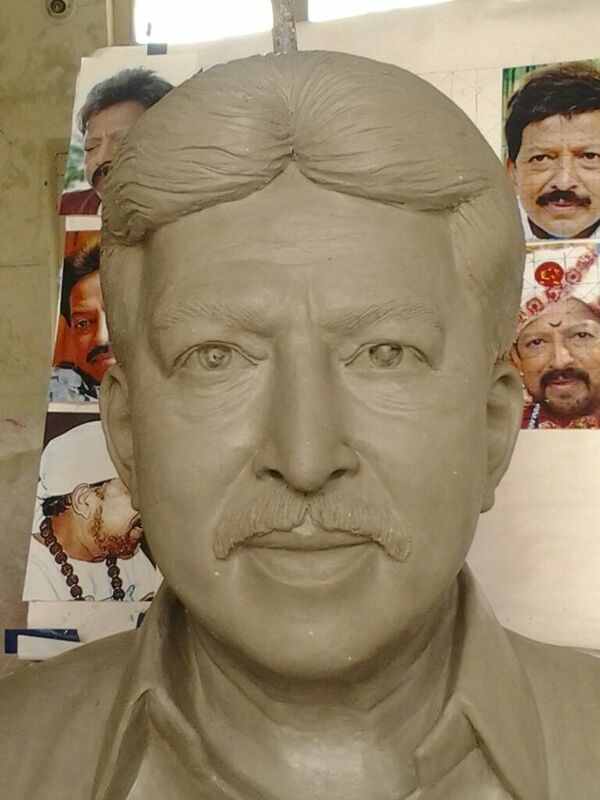 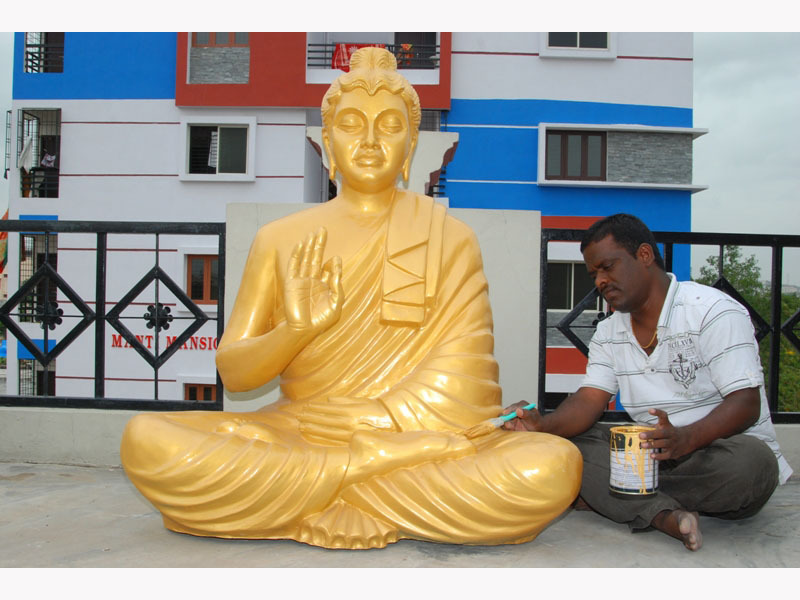 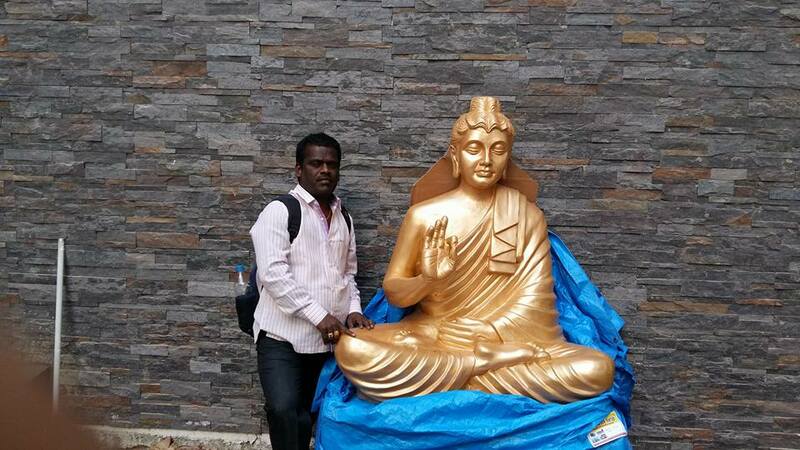 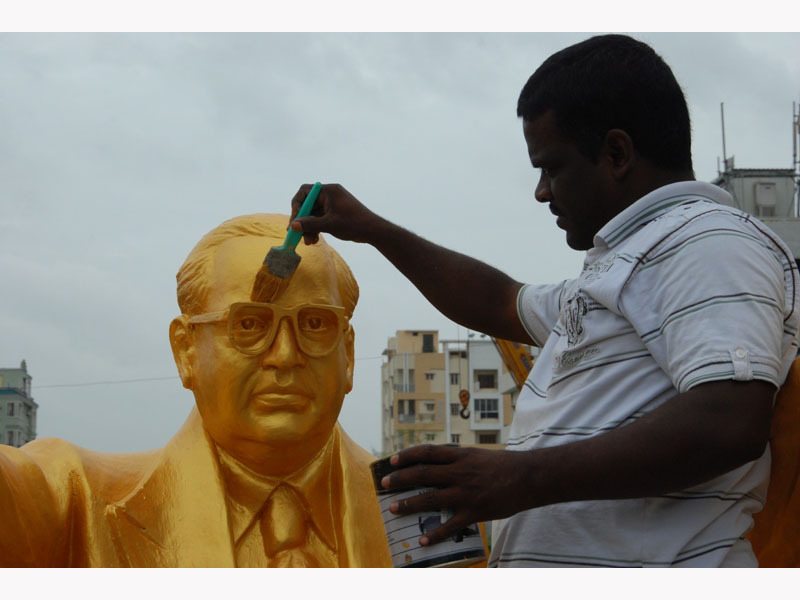 Bodasu venkataramana,who makes bronze statues of buddha has been in this traditional craftsmanship. 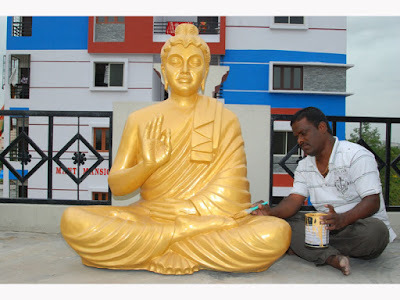 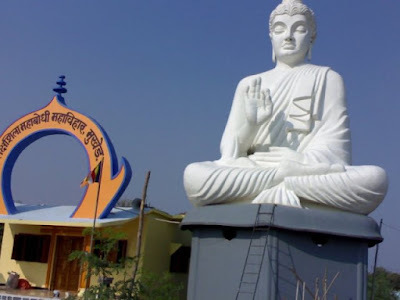 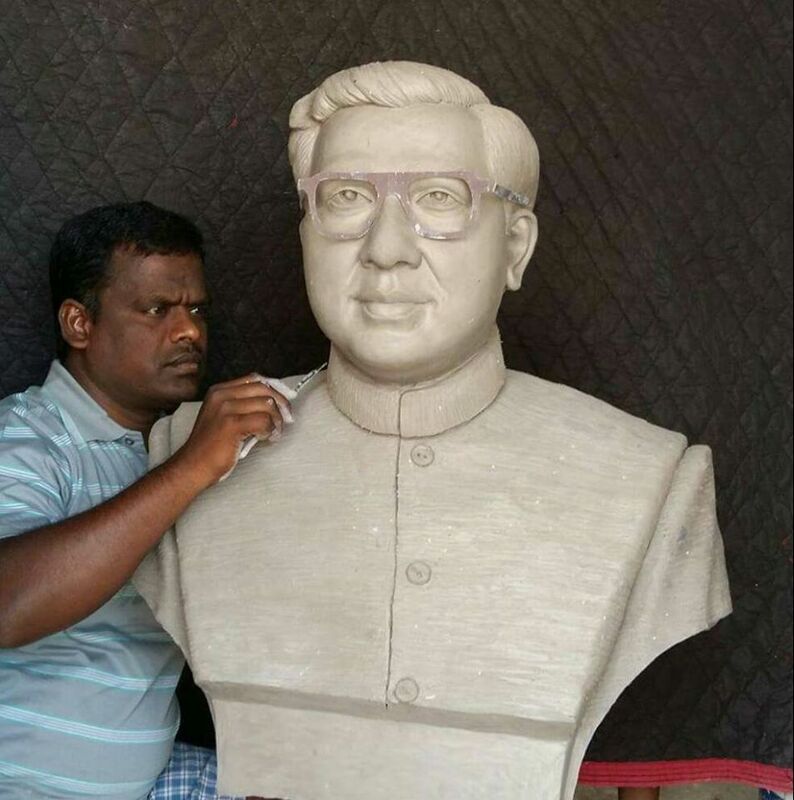 Buddhist statues and sculptures, he extends his manufacturing processing with more master sculptures equipped with traditional base that makes his statues unique in designs. P.Janardhan Reddy started his career as a trade union leader in1967 He was first elected to assembly in1978. He was Labour Minister headed by his mentor. 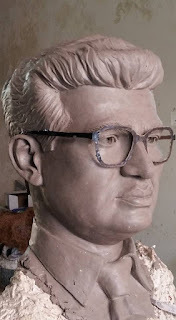 Bodasu sculpts his smaller and medium sized pieces in micro crystalline artist wax.This type of wax works well for sculpting due to its versatility in the creative process. 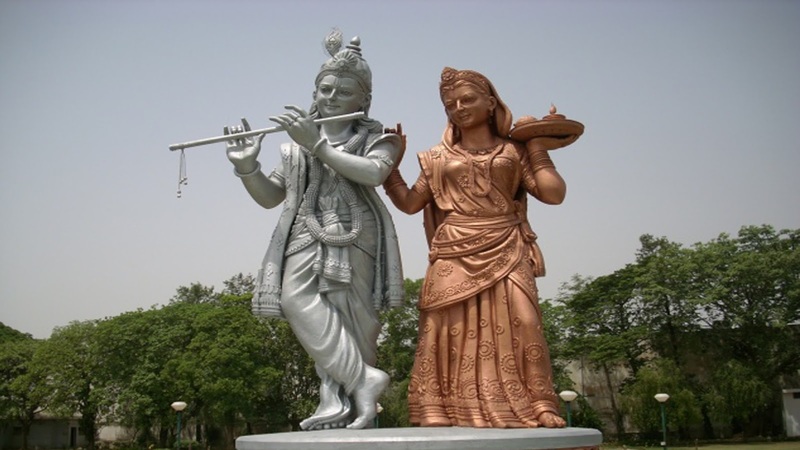 These statues truly demonstrate the beautiful images of the Hindu gods and goddesses. Each of the Hindu Gods represents one aspect of Brahman. 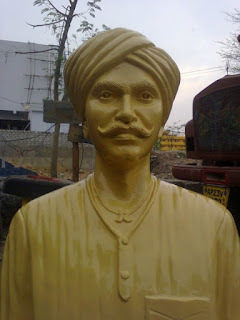 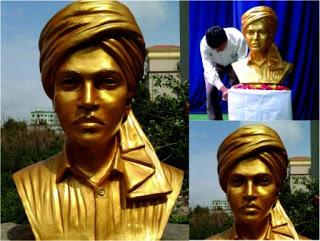 Komaram Bheem was a tribal leader who fought against the Asaf Jahi Dynasty for the liberation of Hyderabad.Komaram Bheem openly fought against the ruling Nizam government in a guerrilla campaign. 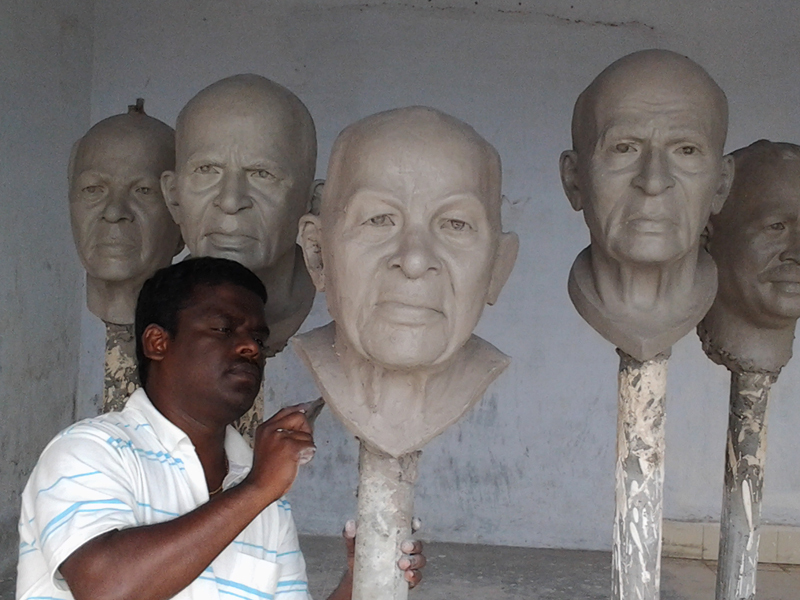 Bodasu sculpts his smaller and medium sized pieces in micro crystalline artist wax. 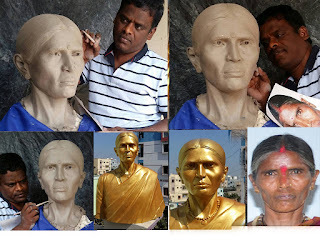 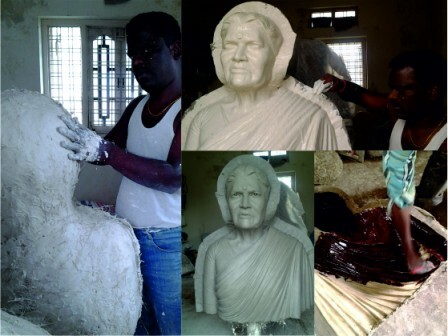 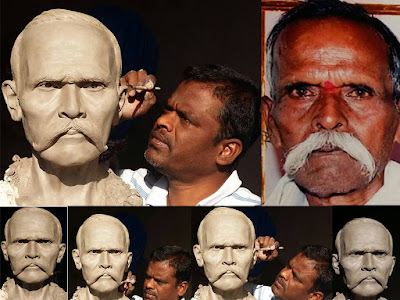 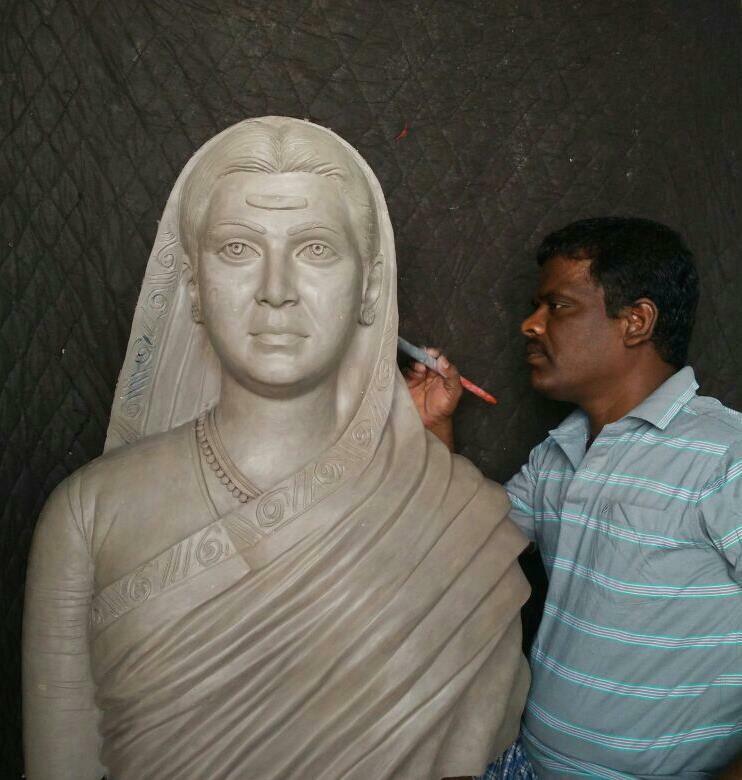 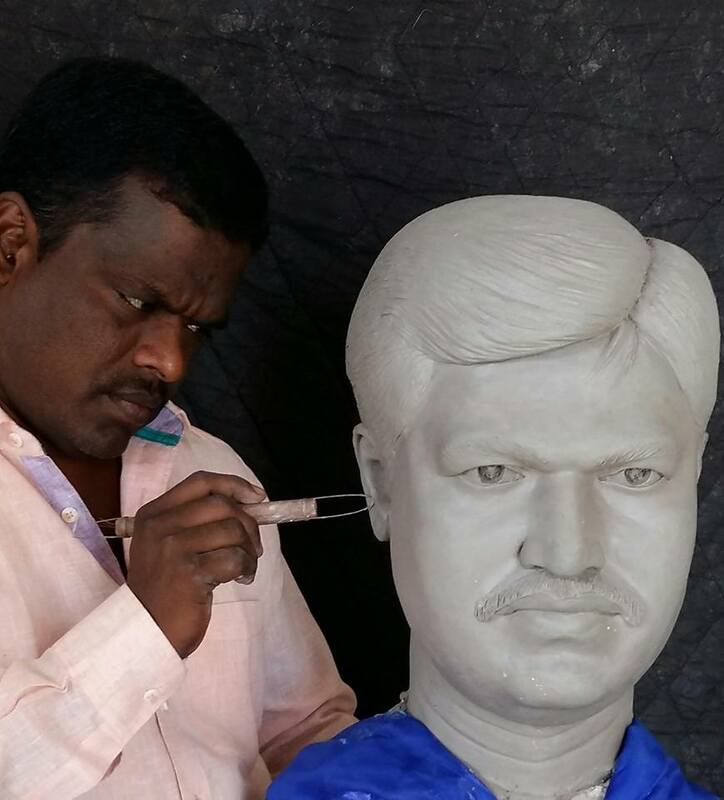 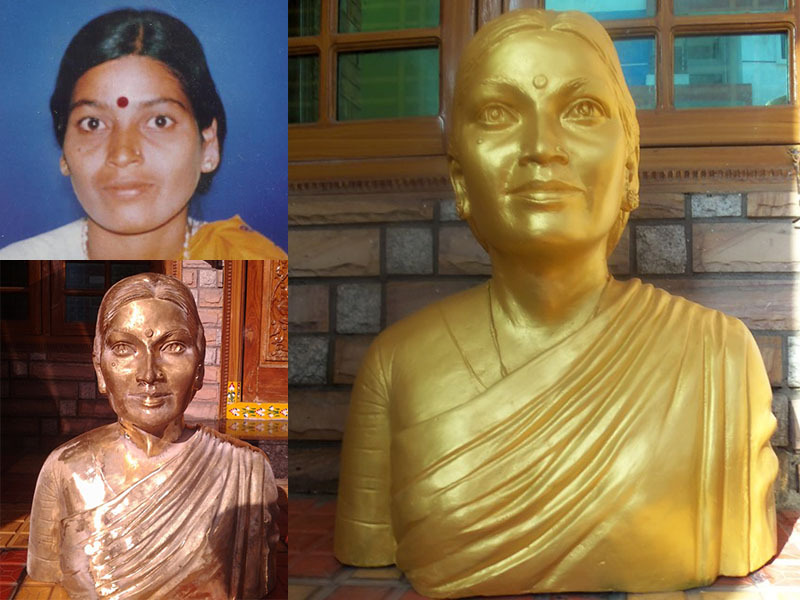 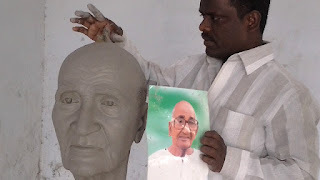 This type of waxworks well for sculpting due to its versatility in the creative process. 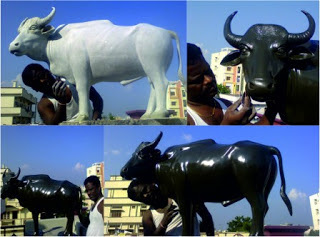 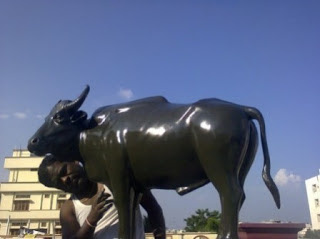 The bronze color and hard, metallic texture of the sculpture’s surface emphasises the brute force of the creature. As a result Bodasu portrait statues look very natural.,full of life and bear that intangible “real” quality that makes them timeless works of art. 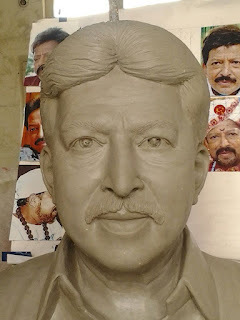 Bodasu sculpts his smaller and medium sized pieces in micro crystalline artist wax.This type of works well for sculpting due to its versatility in the creative process. 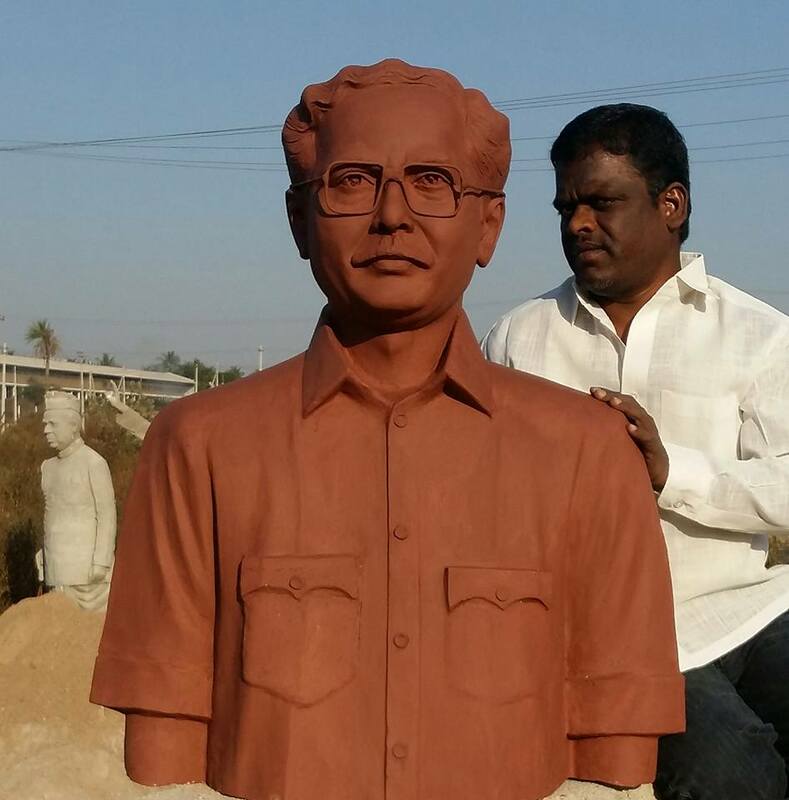 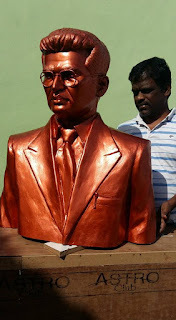 Fiber statue of village leader. Sri Sri Lakshmikantharao Baba and Sri Kamatham Jaganmohan Reddy Statues at Gov.Tahsildhar Karyalayam,Parigi.